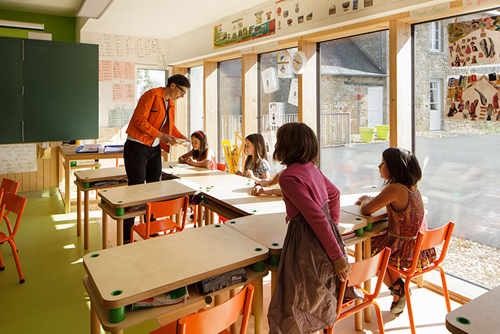 French designer Matali Crasset has given this early learning and primary school a makeover, with what has been termed as “tiny architectures” or (“micro-architectures”) or as Matali Crasset puts it "extensions of generosity". 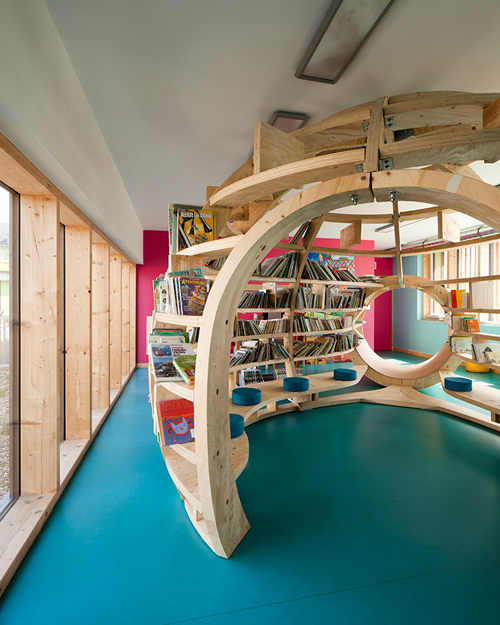 Physical structures inserted into the existing school fabric to transform users' spatial experiences. In the small village of Trébedan (with approx. 400 inhabitants) the past eight years have seen the school teachers run educational projects that closely involve pupils' parents, town councillors and elderly members of the town. 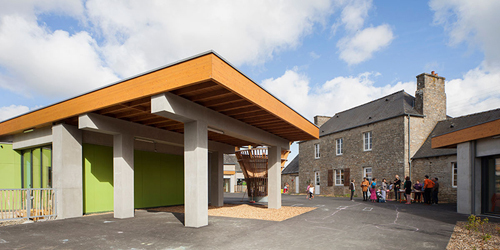 Their initiatives have breathed new life into this rural area and led to the creation of a group of patrons united around envisioning a project for the school Blé en Herbe. Their aim has been to set new standards and improve the functionality of educational spaces, as well as to strengthen the social and cultural role of the school within the village. The brief included the need to refurbish the existing school buildings, extend the existing school with a new kindergarten and canteen, and to create a physical link with the village square. 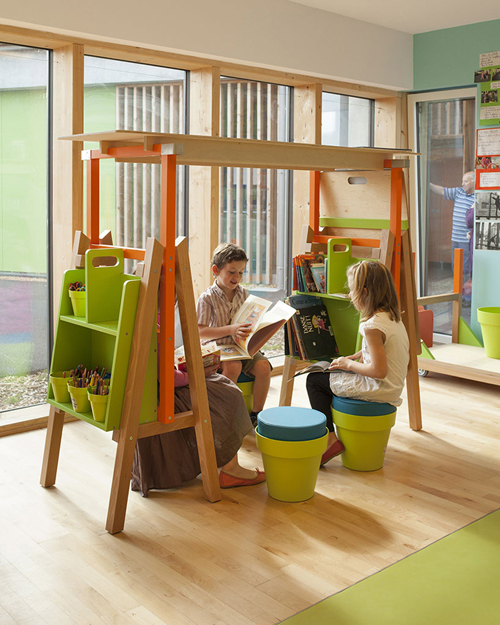 The school has since undergone a major refurbishment of its current classrooms, playground and communal spaces to provide a more cohesive and playful environment for physical, social and creative (curious or adventurous) learning. 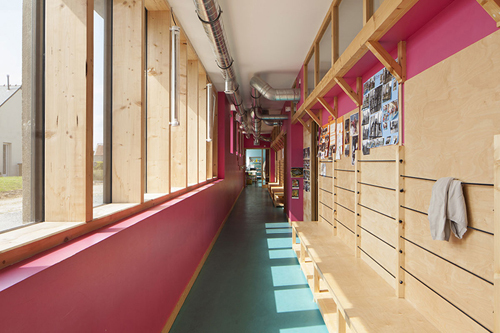 The school buildings are treated as platforms for many types of activity. Weather vanes, miniature windmills. nessts, watch points for birds, a vegetable patch and turrets are being created above the classrooms. 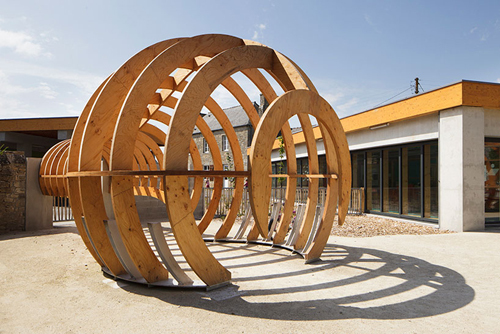 Several curving and dynamic small glulam structures are placed around the external areas – the slatted “skeletal” looking frames providing dynamic shadows and ledges for sitting or climbing on. Each of these "extensions" are given a name in accordance to how they are intended to be used. 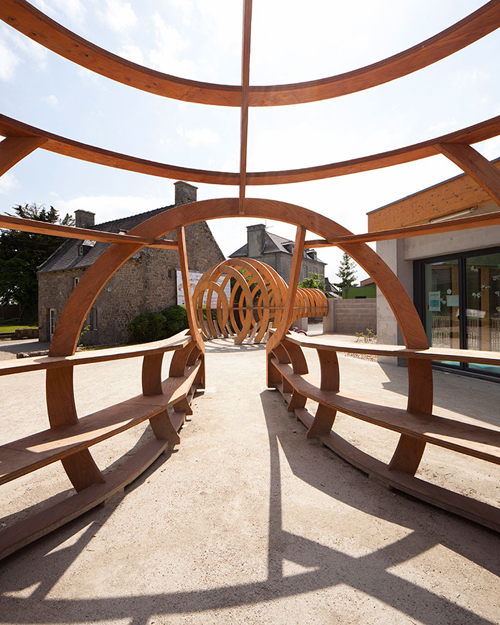 For example "Les Sources" (the sources), open to all, hosts a library and cyberspace, while "La Rencontre" takes the form of street furniture to host public events in the village. 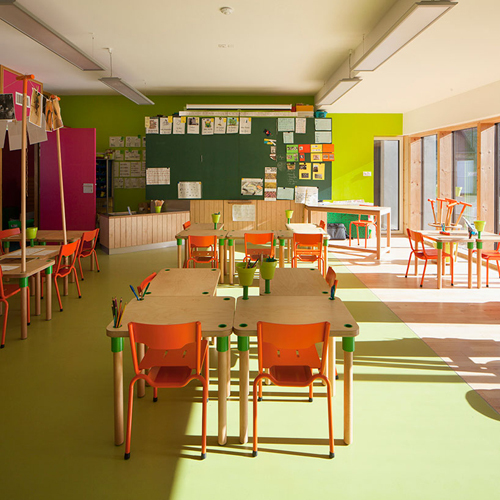 Meanwhile the existing dreary “prefab” classrooms have been replaced with buildings containing deep silled floor to ceiling windows with natural pine frames, a selected (and bright) colour floor, wall and furniture material palette and ample storage and flexible space for various types of (individual and group) learning. All of which face onto the playground and outside areas which are shared with the village. Along the lines of sharing – not only are the exterior spaces shared with the community, but the library, computer facilities and canteen are also able to be used outside of school hours. 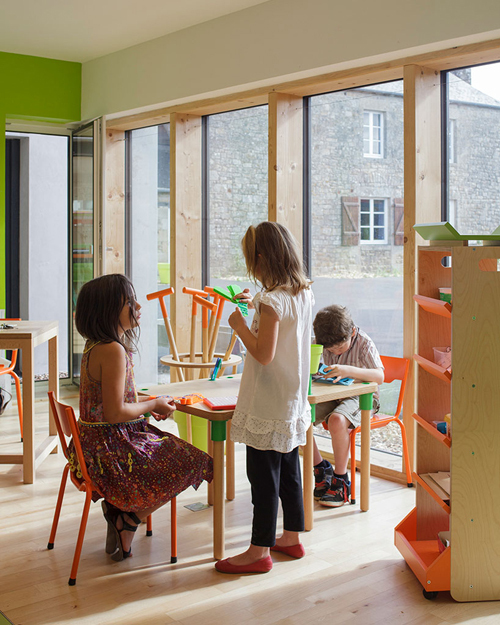 Not only has Crassat designed the architectural environment, but also the modular furniture aimed to allow the children to move and work themselves – promoting individual autonomy as well as flexibility to cater for a number of activities at one time. Based in Paris, Crasset has worked for Philippe Starck and now owns her own business focusing on the function of objects and relations between these objects, humans and human activities. I.e. 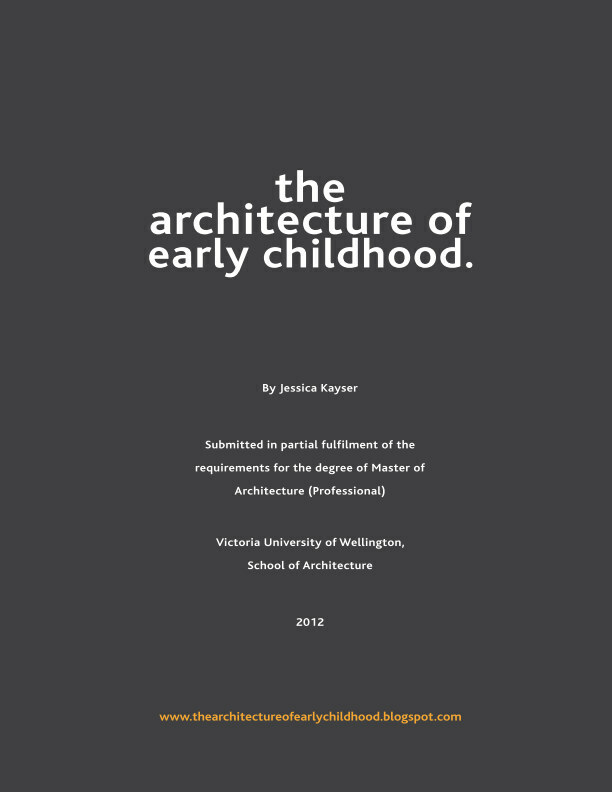 focusing on domestic rites and the social and cultural codes governing our daily lives in order to experiment with new typologies and ways of appropriating them. She proposes spaces open to all, objects suited to users which facilitate interaction and sharing; inviting users to react to the world around them. Via DesignBoom, Les Nouveaux Commanditaires and Eternal network.